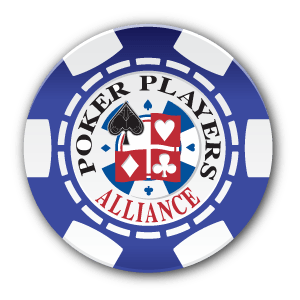 The Poker Players Alliance (PPA) has criticized the new Mike Gatto-generated California online poker bill, branding it as a “misguided” piece of legislation that is too exclusive and will prevent a regulated market from thriving. If the aim of Assemblyman Mike Gatto’s Bill AB 9, also known as the Internet Poker Consumer Protection Act, is to draw up a regulatory framework for legal online poker in California on which all the stakeholders can agree, then it has already failed; it was blasted this week not just by the PPA’s John Pappa, but also by California’s pro-PokerStars coalition. Pappas was particularly scathing of the proposition to have players sign-up in person, in the land-based casino affiliated with the online site. “It defeats the purpose of online poker, to be able to deposit from your computer,” he said. “I think it’s someone’s misguided understanding on how to establish synergies between brick-and-mortar casinos and online players. There are other ways to bring people to your properties. He also felt that this dynamic would discriminate against the smaller tribal operators who are typically based in more remote areas. Also discriminated against are the racetracks who are left out of the equation completely, which, says Pappas, could damage the growth of the market. He additionally says the bill specifically excludes Amaya, a reality which he branded “unwise and unfair,” and reserved further criticism for the decision to criminalize those who continued to play on unregulated sites after legalization. While the bill at first appears tough on the so-called “bad actor” question, it also includes a discretionary provision that would allow the Casino Control Commission to waiver the clause, potentially leaving the door open for Amaya. However, the pro-PokerStars coalition isn’t taking any chances and views the language of the bill as a threat to its plans. The coalition, which is comprised of the Morongo Band of Mission Indians, The San Manuel Band and the state’s biggest land-based card rooms, all of whom have signed an agreement with PokerStars, attacked the bill in a press release this week.